You can easily edit your email template inside EasySendy Drip (or EasySendy Pro) WYSIWYG email template editor. 1. 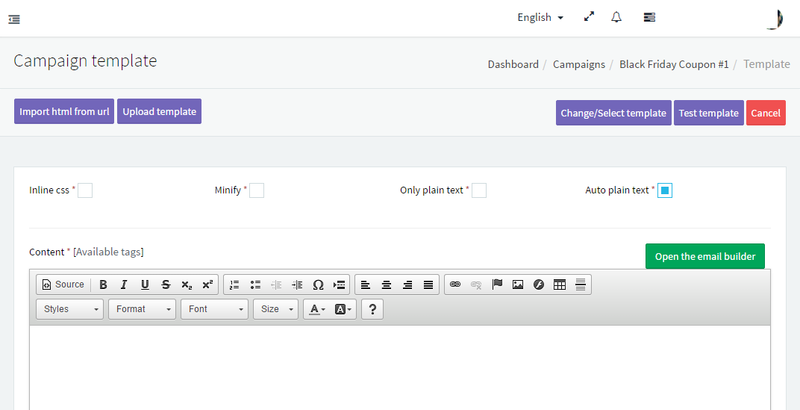 To use WYSIWYG email template editor, click “Create new Campaigns” (you can also choose your own campaign in which you want to add/ update email template) under “Campaigns” menu of EasySendy Drip (or EasySendy Pro) dashboard. 2. Now, fill all the particular fields inside the campaign and click on save next. 3. On next screen, when you get WYSIWYG email template editor where you can start creating email template. Here you can easily upload an template from HTML mode; edit the template button, font and hyperlinks according to your requirement in email campaign.